. 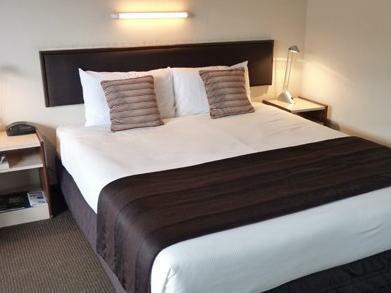 كما يقدم Ashley Hotel Greymouth الكثير من الخدمات لإغناء رحلتك في جرايماوث. يمكن الاستمتاع بمجموعة من الخدمات على أعلى المستويات في الفندق كمثل مرافق مخصصة لذوي الاحتياجات الخاصة, واي فاي في المناطق العامة, صف السيارات, خدمة الغرف, مطعم. 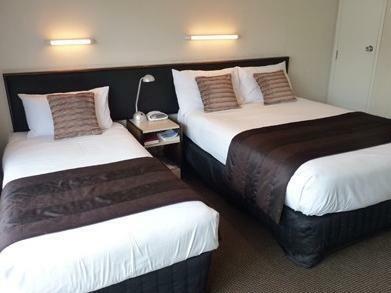 تنعكس أجواء Ashley Hotel Greymouth في غرف الضيوف.تلفزيون بشاشة مسطحة, اتصال لاسلكي بالإنترنت, غرف لغير المدخنين, تدفئة, مكتب هي بعض الميزات الموجود في العديد من الغرف. يقدم الفندق مجموعة واسعة من وسائل الراحة المتنوعة، كمثل: حوض استحمام ساخن, مركز للياقة البدنية, حمام سباحة داخلي. 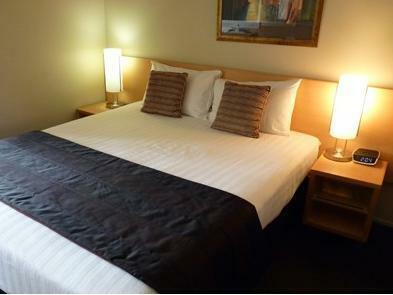 مهما كانت أسبابك لزيارة جرايماوث، فإن Ashley Hotel Greymouth هو الخيار الأفضل لإقامة مثيرة وممتعة. This was a comfortable, spacious room with a nice bathroom (2-person spa tub and a shower) and well-appointed kitchenette. The check-in staff was efficient and polite if not friendly, but I think I interrupted his dinner. The location was fine, a bit of walk into town but nothing too hard. The room was quiet and had good black-out curtains for sleeping. Very friendly and welcoming staff. Very well equipped, kitchenette has a large fridge as opposed to a bar fridge. Good size bathroom with separate shower and bath. Location is a bit out of town but only a short drive. Gym was being renovated so not able to use it which was a bit disappointing. Short walk to the beach which has a walking and cycle track. Pros: place was spotlessly clean. Beds reasonably comfortable. Great shower with lots of hot water. Good heating. Cons: Most dangerous electric blanket...live wires exposed...could easily have been electrocuted. Staff apologised but did not seem overly concerned. 3 towels for 4 people. Heated pool was stone cold. Greymouth is a small town with not much too offer. We were there for a lay over from Christchurch to Fox Glacier. Food in Greymouth, we thought it were expensive considering the location of the town compared to Queennstown or Christchurch. Nothing fanciful or tasty. The hotel is fine but we happened to be staying in the motel part of it. Room was spacious. But it lacks comfort for the following reasons: 1) the door to the motel room is glass so you have the light shining in the morning till sunset. The main frontage of the room is a large window which there were venetian blinds. So you got to get up from bed when the sun rises. Not too good when it is Summer where you have a very early and long daylight. My stay was great. The only thing was 3 light bulbs were broken and the shower head was directed at the shower door so the water went all over the floor. I was unable to adjust. It was also good to have the gym which I used every day. I did have a problem with the treadmill as it is old and very hard to adjust the speed or turn on as the mother board is obviously old and on its way out. I did mention this to reception. I also mentioned the shower and lights to the lovely cleaners. Regardless my stay was good, the above things were just minor issues which did not affect my stay at the Ashley. I really hope the Ashley trades in the treadmill for a new one and you can then guarantee I will give up staying at the Rec for the Ashley. Our room had a large LCD TV with sky pay TV channels, minibar, two double beds and all the creature comforts. The wireless internet was a bit pricey however good availability throughout complex. Staff were very friendly and welcoming. Would definitely stay again! Stayed on business trip, room was really good. It is big, nice and clean. Parking available right in front of my unit which is a plus. Staff was really friendly, quick check in and check out. All in all, highly recommended. Friendly staff and good location. The beach is just behind the accommodation and takes around 5 mins walk. The facilities were excellent. Highly recommend!!! Good sized rooms and fair price. Would recommend to anybody visiting Greymouth! 2 rooms motel we stayed are huge. Clean and comfortable. Neat and clean. Appears they are renovating some of the rooms. It was an older bathroom but the clean and great water pressure in the shower. Friendly staff! Aged premises that needs renovations. In room facilities are literally none. 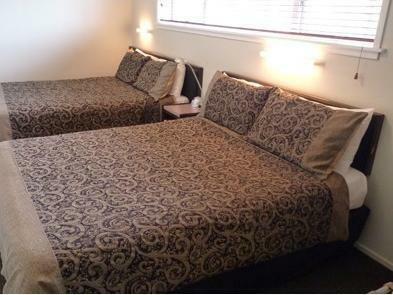 Probably acceptable by Greymouth standards but wouldn't recommend this place for stays more than over night. Sorry guys but we didn't appreciate getting a room with its back to a conference hall full of National supporters on the night before elections specially when your advert says with garden views. No drinking water in the room to say the very least. You guys really need to up your game. You have some great front office staff. Please look after them. The food and cocktails in the restaurant were delicious, very tasty dinner. The wait staff friendly and unobtrusive. Nice plush decor that makes it feel like dining in a fine restaurant. Room was lovely and clean. Only criticism is that the door is not very soundproof, you can hear ppl moving about the corridor. We stayed at Ashley hotel for a night and checked in pretty late. 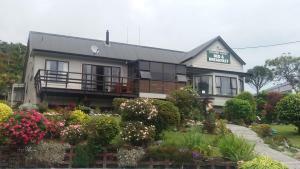 If you enter Greymouth from West port, there is a HongKong restaurant right in the begining of Greymouth town. They are open till late and food is very nice! The I-Site visitor center gives discounts on touristy activities. Do visit Hokitika as they have beautiful natural attractions and trails. 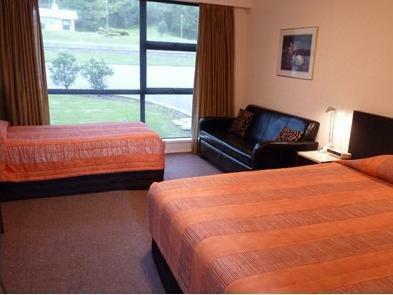 Ashley Hotel sits in a great spot to go to Hokitika. 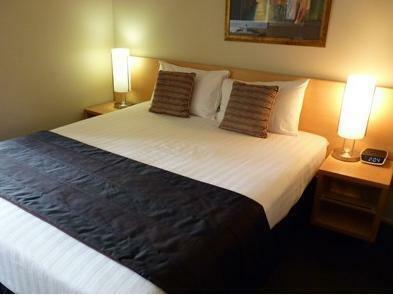 All rooms are ground floor so its great for accessibility. pretty good, comfortable, but light in the bathroom didn't work. Had to use our smart phones as lamps, when we told reception about this they simply said "we'll see what we can do", but nothing happened. Disappointing, it could have just been a blown globe, this left a bitter taste towards the hotel. our stay was very nice. 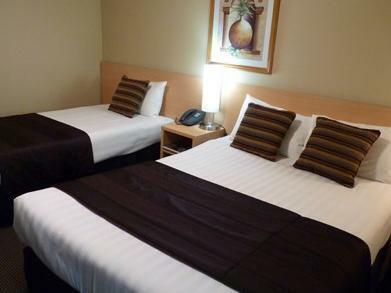 the hotel room is large and convenient, with high ceilings. the hotel location was not very far from the city center but very quiet. the kitchen and bathroom were large and clean, and the living room is large as well. the hotel stay was superb. 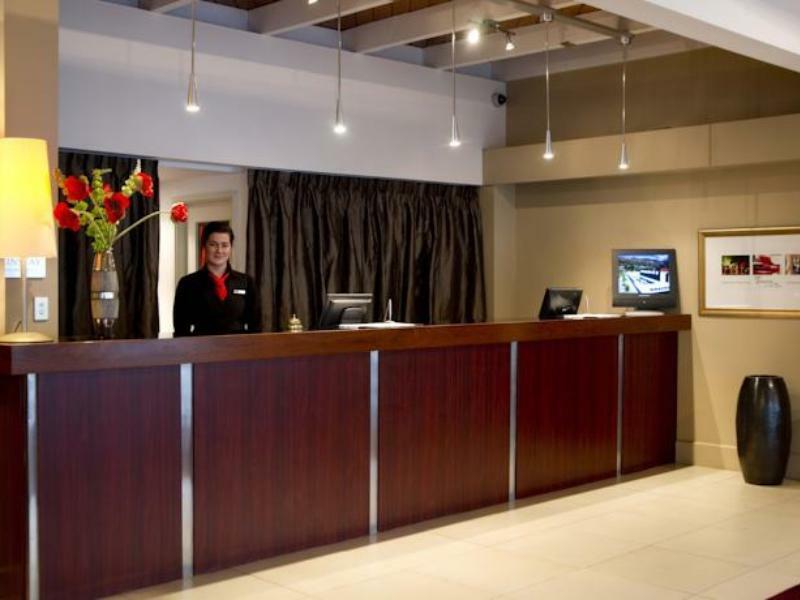 Cars are parked across the road, check in and out very quick and professional but not friendly. Room was clean but small with view of other rooms. The pool is inside but freezing (not heated), the spa is disgusting, a concrete spa with no paint and so old, don't bother to take your togs, actually to sell this hotel with a spa and indoor pool is rude as you can not use either. The restaurant was closed so they offered us a cheaper room with kitchen in the Motel, gee thanks. Again to sell the Hotel with a restaurant that is not open is a bit of a joke. Try somewhere else for the price you pay you get nothing at all except a tiny room you could not swing a cat in.